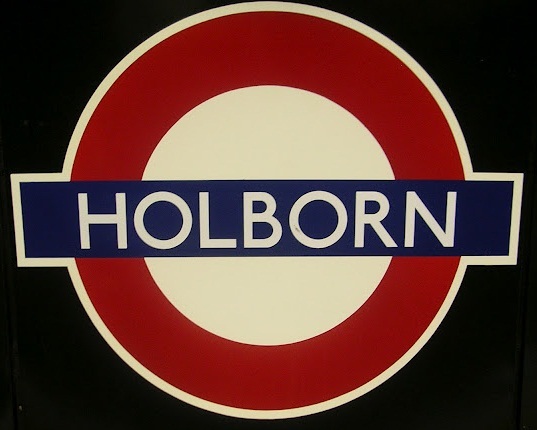 Holborn was recorded as Holeburne in 951 and takes its name from part of the River Fleet. It is derived from the Old English holh, a 'hollow' and burna, a 'stream' - means 'the stream (or brook) in the hollow'. The hollow is the valley now spanned by Holborn Viaduct. Kingsway is the street that runs from Holborn station to the Aldwych, and was begun in 1901 to clear the slums of this area. It was opened by Edward VII in 1905. There was some controversy over the choice of name but finally Kingsway was chosen, no doubt for patriotic reasons. The station was opened as HOLBORN on 15 December 1906 for the Piccadilly Line. The Central Line platforms (replacing BRITISH MUSEUM station) were opened on 25 September 1933. 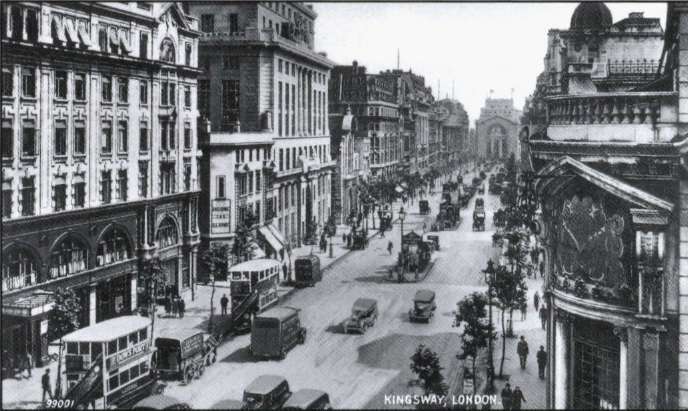 Looking south down Kingsway in the late 1920s with the original Holborn Piccadilly Line station on the left. In the centre of the road can be seen the entrances to the tram subway station.